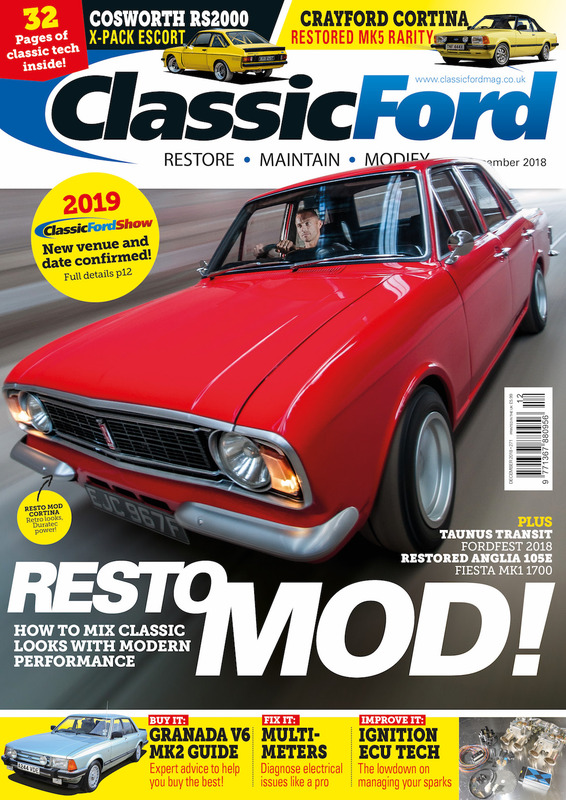 Classic Ford December 2018 issue is available in print and to download now, and inside this issue we celebrate the art of Resto Mod, showing you how to mix classic looks with modern performance. There’s been much interest in the general automotive media recently about classic cars being given updated internals by professional outfits while keeping the classic looks and feel (though the emphasis has been on the resulting price tags…), but we would argue that the classic Ford boys and girls were doing what has become known as Resto Mod first. 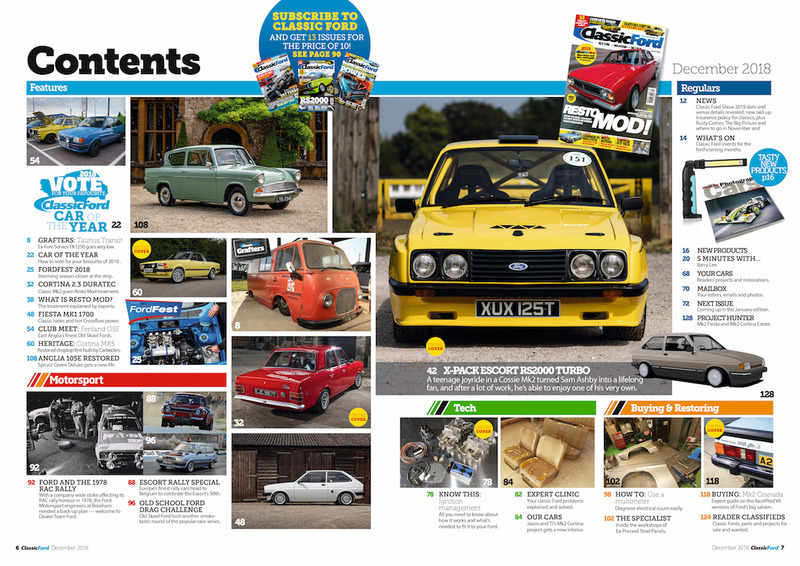 Dropping in a later engine with running gear to match has been a mainstay of the classic Ford scene for so long, but in recent years the game has been upped considerably, with the focus on keeping what makes a classic Ford classic very much intact. It’s probably down to the increasing value of our cars, but I’d also like to think it’s because we know so much more than we did 10-15 years ago, and the availability — and quality — of bolt-in kits has got so much better, too. What it all boils down to though, is turning out a cracking classic Ford, and that applies to a standard restored example as much as it does one that can be called Resto Mod — and there are incredible examples of each discipline is this issue.